Microsoft will allow savvy fans to download the Windows 10 Creators Update early – officially this time. Starting April 5, Microsoft will officially make the major update available through its previously-leaked Update Assistant tool. The firm made the announcement through its Windows Blog along with details on how Microsoft will handle the rollout for everyone else that starts April 11th. You will be able to download the Update Assistant tool officially from this link, but not until April 5. Of course, Microsoft says the Update Assistant will only work on licensed copies of the operating system. So, what about that rollout? The operative word in Microsoft’s plans for releasing the Creators Update is “rollout”. With that in mind, on April 11, the update will first make it to the general Windows Update tool within newer PCs, “especially those we tested together with our OEM hardware partners,” Microsoft’s John Cable writes. Next up will be, well, up to Microsoft – based on the feedback the company receives from this first phase of rollout to those shiny, new devices. Then, Cable writes that the firm will “iterate this process over a period of several months” until every last of the 400-odd million Windows 10 devices download the Creators Update. Yes, you read that correctly: “several months.” That shouldn’t be a huge surprise, though, considering the Anniversary Update rollout period lasted about as long. 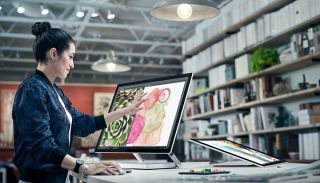 In other words, if you’re just dying to get your hands on the Creators Update, your best bet is to familiarize yourself with the Update Assistant tool on April 5. We know we’ll be doing the same.